Dr. Naziri Provides Cosmetic Dentistry in his South Gate, CA dental office (Dr. Naziri's Dental Clinic of South Gate) . In the past decade there has been a dramatic interest in cosmetic dentistry. We all realize that having a healthy, bright, beautiful smile enhances our appearance and allows us to smile with confidence. Thanks to the advances in modern cosmetic dentistry, we are able to improve our teeth and smiles with quick, painless and surprisingly affordable treatments. Dr. Naziri is a certified cosmetic dentist that can make your smile beautiful again. If you are unhappy with how your teeth look (shape, color, chipped tooth, crooked teeth) come in today and become a whole new person. A beautiful smile is everything. Beautiful teeth is a beautiful you. 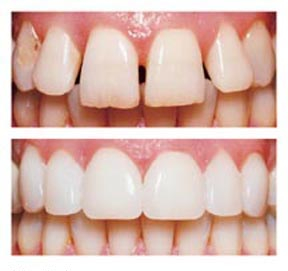 Cosmetic dentistry is offered by Dr. Naziri. Visit our South Gate Dental office to have a consultation about cosmetic dentistry and see if it is right for you.